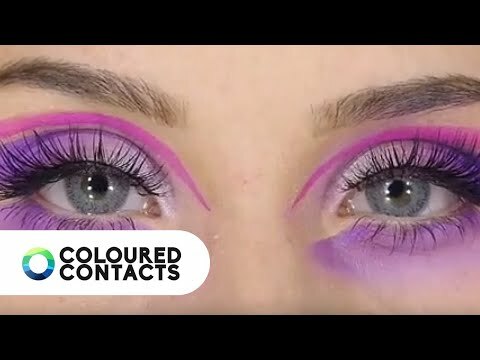 The methods for contact lens prep should be the same whether you’ve received prescription, natural or costume contact lenses. With all the excitement of a new pair of contacts, it can be tempting to try them on straight away. However, it’s important to clean and soak your contact lenses in solution before wearing them. Contact lenses should never go straight from the packaging into your eye. All contact lenses will come packaged in one of two options; blister packs or vials. We recommend that you inspect the contact lenses BEFORE opening then. This means that if there is anything wrong with the contact lenses, you can return them to us. The contact lenses match your order confirmation. The contact lenses are undamaged, intact and have no visible abrasions. The contact lens colour, design, and style are as expected. If you experience any of the problems listed above or have any doubts about wearing contacts get in touch with our customer services team here. Please note that we can only accept returns on unopened pairs of contact lenses. Please use the checklist above before proceeding with opening your contact lenses. * Check that attributes such as Base Curve, Diameter, Power/Square, Cylinder and Axis all match your own prescription. Non prescription or plano coloured contacts often have a standard diameter and base curve. Find out “How to Read Your Prescription” here. Before using contact lenses it is important to make sure that they have been soaked in a contact lens solution as per the packaging recommendations. We usually recommend soaking for at least 2 hours before attempting to insert them. 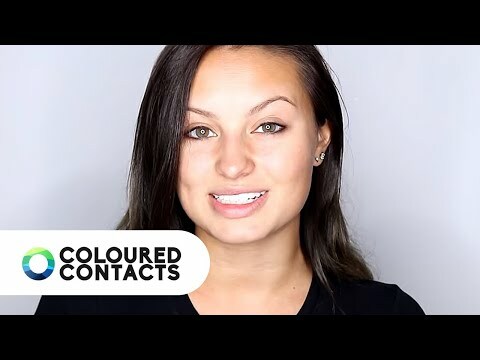 Our coloured contacts should never be worn straight from the packaging. Coloured contacts are packaged in a saline fluid designed to keep them preserved and sterile in their packaging. If it comes into contact with your eye this fluid can feel uncomfortable and may cause a stinging sensation. Helping to balance the pH of the contact lenses in order to bring them closer to the natural pH of your eye. Removing any residue or any unwanted proteins from the surface of the lens. Softening the contact lens material for increased comfort during use. All of these factors help to increase the comfort during contact lens wear. Find out more about our own premium lens solution here. Wash your hands with unscented soap before handling your lenses. Ensure that your nails are short and smooth – no sharp edges. Avoid touching the tip of the contact lens solution bottle. Always soak the contact lenses in a new, or cleaned, contact lens case. 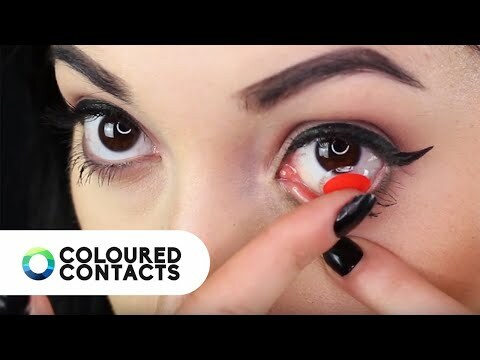 Even daily coloured contact lenses should be soaked before use. Always completely refresh your lens solution rather than top it up. But most of all - be prepared! Read all instructions and prepare everything BEFORE opening the contact lenses. Make sure to head over to our main care guides page for even more information on contact lens care. Contact lens preparation is a key part of making your experience safe and secure. Here's our guide on how to ready and soak contact lenses before use.